Grilling carries a number of risks—from fire to food poisoning—that you must be aware of in order to keep your outing safe and enjoyable. Grilling is a great way to make a delicious meal, especially during summer get-togethers and events. 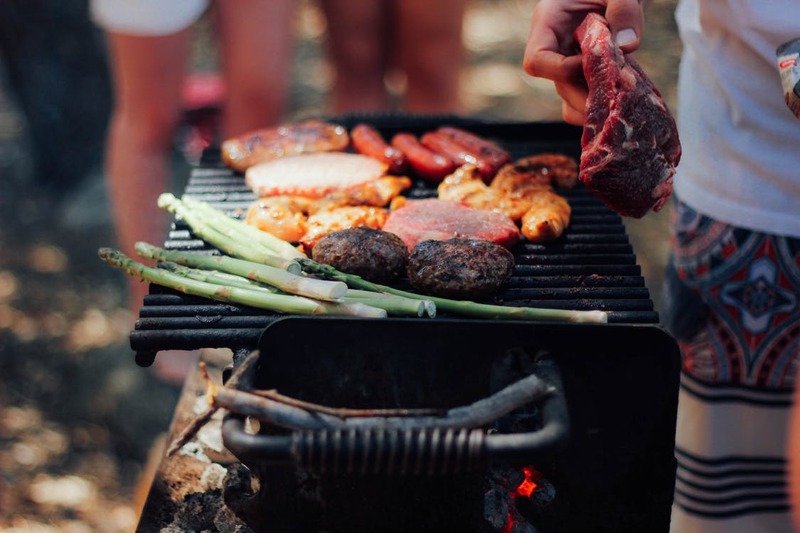 However, grilling carries a number of risks—from fire to food poisoning—that you must be aware of in order to keep your outing safe and enjoyable. To keep your family and friends safe while grilling, keep these suggestions in mind. Place your grill at least 3 feet away from other objects, including your house, vehicle, trees and outdoor seating. Before using a gas grill, check the connection between the propane tank and the fuel line to make sure it is not leaking and is working properly. If you suspect that your gas grill is leaking, turn off the gas and get the unit repaired before lighting it again. Never grill on wooden decks, porches or balconies. Cook leaner meats that drip less grease. Opt for a turkey burger or loin cut of beef, and cut visible fat from poultry. When fat drips into the coals or flames, smoke travels up to the meat and releases carcinogens. Marinate your meat to reduce carcinogens by 87 percent. Herbs contain polyphenolic antioxidants, which prevent the formation of carcinogens on the meat’s surface. Scrub your grill with a wire brush after every use. This will prevent bits of leftover food from dropping into the grate and creating carcinogen-filled smoke. Use a nonstick cooking spray on the grill rack to prevent meat buildup. Wash your hands. You should do this before all types of food prep, and grilling is no exception. If you’re outdoors and there is no bathroom, use a water jug, some soap and paper towels. Consider carrying moist towelettes for cleaning your hands. Separate raw and cooked food. Don’t use a plate or utensil that previously touched raw food to touch cooked food unless the utensil has been washed with hot, soapy water. Marinate your food in the refrigerator, not on the counter. Make sure food is cooked thoroughly in order to kill any harmful bacteria that may be present. Hamburgers should be cooked to 160 degrees Fahrenheit, or until they are brown all the way through. Chicken should be cooked to 165 degrees Fahrenheit. Refrigerate leftovers within two hours of being cooked—the sooner, the better. Grilling is meant to be a relaxing, social way of preparing a delicious meal outdoors. Following a few, simple precautions will help you keep it that way.